These cancerous cells can destroy the healthy tissue surrounding them — including organs, express.co.uk reported. You could be at risk of a brain tumor if you have a ‘severe’ headache, it’s been revealed. Headaches that are severe and persistent could be one of the earliest warning signs of a brain tumor, said Consultant Neurosurgeon, Ian Sabin. He told Express that the headaches are usually worse in the morning, and gradually get better throughout the day. 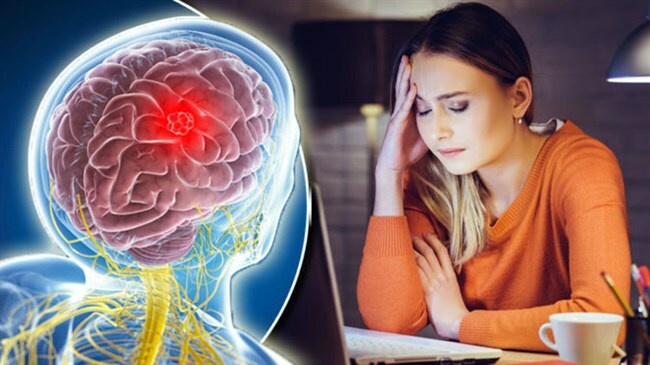 “Early signs of a general brain tumor can include headaches that are severe and persistent, continue for an extended period and are unusual i.e. not related to an existing illness,” said Sabin, who is also Medical Director at the London Gamma Knife Center, part of HCA Healthcare UK. “Sudden onset headache, sometimes referred to as ‘thunderclap’, may be due to a hemorrhage in and around the brain and requires urgent investigation. You could also be at risk of a brain tumor if you’re feeling constantly nauseous, added Sabin. Vomiting and nausea is caused by a tumor interfering with the internal circulation of brain fluid, which causes ‘water on the brain’, he said. An other warning signs of a brain tumour include seizures, cognitive changes, and even hearing loss. More than 9,000 people in the UK every year are diagnosed with brain tumors.